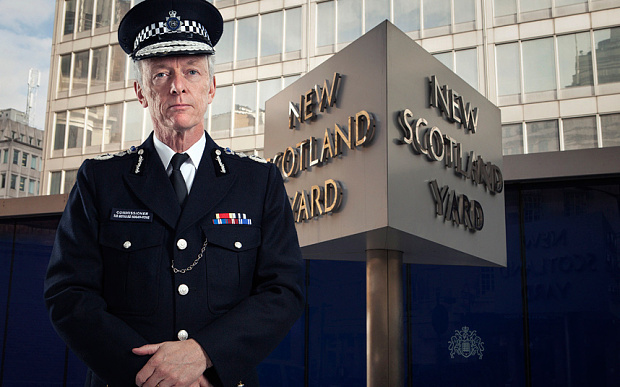 As a former Scotland Yard detective, Monday night’s documentary on Britain’s biggest police force was a real piece of drama. It was a public relations success, with even non-cop documentary viewers like me tuning-in. And let’s not be coy, the programme was to improve the image of The Met after so many scandals especially around race. But, it posed more questions than it answered. Firstly, we had Sir Bernard Hogan-Howe declaring that all sections of British society are racist. But, unlike the general population, police officers have unique powers which include the ability to take away one’s liberty. The commissioner was right however in that it is not only the police that fail to represent the communities it serves, but The Met fails the Black and Minority Ethnic (BME) community miserably. Of those black people who were featured apart from the commissioner’s “go to man” chief superintendent Victor Olisa, they were either portrayed as militant; violent and/or disrespectful. But The Met is an expert in protecting its reputation and image, and Monday night it didn’t fail. Without spelling it out, the episode showed the public just how difficult it is to police London’s black community. The Haringey chief Olisa said it himself, it all comes down to race. He was spot on. In fact, it was Olisa who made me smile the most. After the inquest into the shooting of Mark Duggan, the black community questioned whether he was appointed to the borough because he is black. I have no doubt he has talent, but of course he was given the job because of his skin colour. It would be disingenuous to think otherwise. A black man brought into the area where another black man has just been killed by the police, followed by community tension. It makes business sense. Unlike the Jewish community which Mr Olisa said embraced his Jewish colleague in the neighbouring borough, they are not over-policed; regularly stopped and searched and don’t account for the majority of deaths in custody. The black community has a right and a moral duty to be unconvinced and unhappy with The Met, when it fails them disproportionately. I mean, the force even fails its own BME staff. Many officers, and there’s a long list, have taken the commissioner to the employment courts to try to bring about change. I know, I was one of them. You only have to read about PC Carol Howard’s recent discrimination case which followed mine, and that of PC Ricky Haruna. Like these two black women, I too was ‘meant to be the future’. When I heard the officer in-charge of the Brixton Splash street festival and who was involved in my race case having been one of my line-managers say ‘everything we did today was with consent of the community and how they want it policed’, I thought to myself if only he was this enlightened when I served in the force. But then, I was more struck when I read the tweet of Christian Guy of Iain Duncan Smith’s “Centre for Social Justice”, who heads an all-white team, that to him this was ‘Robert Peel in action’. The Met, had been given the all-clear. Not, by black people of course. What was striking from the documentary, was that Sir Bernard said black men are more likely to be stopped and searched by his officers and that he couldn’t ‘fully explain’ why. If he doesn’t know why and he controls and sets the direction of the Force, then he definitely is in the wrong job. You only have to ask black men on the streets of London about why they think they are stopped and searched, overwhelmingly, with no further action taken against them. But, here lies the problem. Like the leadership of The Met, Sir Bernard is out of touch with black Londoners. The Met doesn’t even reflect the city it serves, with just 10% of staff BME when London is 40% ethnic minority. In an interview after a preview screening for him, the Commissioner Sir Bernard said the force simply has to take longstanding accusations of racism ‘on the chin’ and that ‘if other people think we are institutionally racist, then we are. He went further saying, ‘I don’t think people often understand what the term means’. For a white privileged man who has just accused others of being this to say that black people do not understand what racism is, it is an affront to them and their experiences of policing.